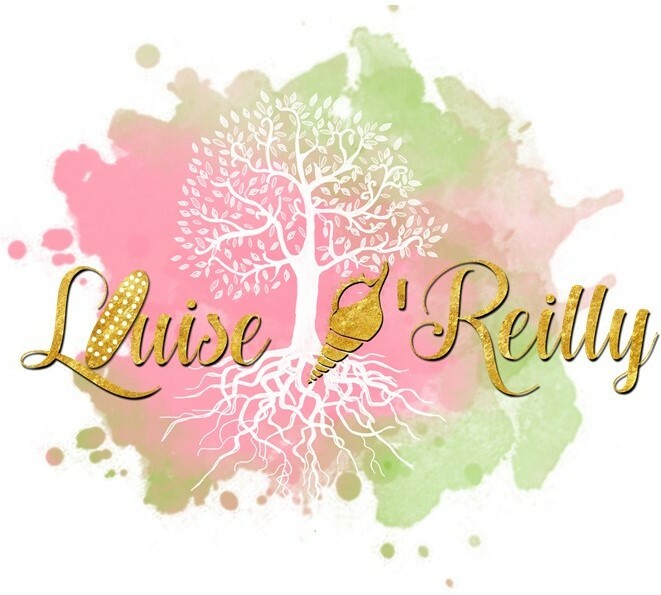 June 6, 2018 June 6, 2018 Louise O'Reilly6 Comments on I’m Privileged, But I’m Not!… Are You in the Same Boat? I’m Privileged, But I’m Not!… Are You in the Same Boat? I acknowledge that I am more privileged than many in my community. Luckily, I have always had a roof over my head, a full belly, an education, and a supportive family. I was also born with fair skin. I recognise that many others are more privileged than myself. They are male, they don’t belong to a minority ethnic group and they live in a financially comfortable way. Well if you think about life as a race and the winner crosses the line first. The least privileged, start at the start line. The more privilege you have, the closer to the finish line you get to start the race from. Some people are born on the finish line. Others have difficult obstacles placed in their running lane. And I don’t just mean hurdles, I mean mountains to scale, rivers to swim across, walls to break through and tunnels to dig. Who do you think is going to win this race called life? Who do you think will thrive in our society? Privilege plays a part in the race of life. Almost always, the privileged people are the winners. But sometimes, Just sometimes, the under-privileged win too. Just look at the huge success that is Oprah. If an underprivileged person were to “win”, they most likely, would have had to work longer and harder. They would have to endure more obstacles and heartache. And suffer more discrimination and criticism than their more privileged counterparts. The thing about privilege is that you don’t have it because of anything you have done. It’s not something that’s earned or achieved. It is something that you are born with and some people are born with a mountain more privilege than others. It’s important to recognise that we don’t live in a society where we all start on an even playing ground. We exist in a world where there is a paradigm of the most superior or ideal human. Of course, this concept of the ideal person will change from culture to culture. Australia is not exempt from this. My point is that some people are blessed with invisible advantages. Others are left with great disadvantages at no fault of their own. Privilege is bestowed upon us all the moment we are born. Assuming ones privileged is something that we all do. It is a learned perception we have through the culture we live in. It’s so deeply ingrained in our society that it’s an automatic unconscious bias we have when looking at someone. Let me make this clear, you are not a bad person if your mind does this. It’s unintentional and automatic, hence why it is an unconscious bias. However, now that I have made you aware of these unconscious biases, you now have the power to question. By reading this, you’ll be able to bring your unconscious biases into conscious awareness. You can start to question whether they are real? If there is evidence to support that belief? Whether the belief is your own or from an external source? By reading this, you’ll have the power to question your unconscious biases around privilege. From now on, you will have the power and choice to start constructing new beliefs. Ones that you believe to be true. That is based on your own personal evidence and not one that society or the media had constructed for you. Oh, how considerate they are, right?! I am a believer in equality for all and because of this, I am aware of the role privilege plays in our culture. I know that equity is integral to ensuring equality. Some people need more to get to the same level as others with privilege. I encourage you to assess your own level of privilege. To build an awareness that there are others more, and, less privileged than you. Think about what their lives may be like. If you’re reading this and you think “this is a load of you-know-what”, you’re probably one of the more privileged people in our society. That’s not a bad thing. Though, it’s even more important for you to understand your privilege. That you are in a wonderful position to support and empower those less privileged than you. You are in the perfect position to help others in your community. What a great position to be in! You can choose to help others that are less privileged than you. If you’re reading this, you now have the power and opportunity to take control of your beliefs. To not be blindly lead by external constructs of the “ideal or superior human”. The choice is all yours. If you’re still unsure about what privilege is, what this short clip which give a practal demonstartion of what I’m talking about. To assess your own privilege, here are some of the questions you can ask yourself: Give yourself a 1 if you answer Yes. Give yourself a 0 if you answer No. Did you grow up in a stable home? Are both of your parents still together? Have you always had a roof over your head? Have you always had food readily available to you? Have you always been able to afford your bills? You do NOT belong to any minority group? Have you always been able to afford an education? Have you always had access to clean drinking water? Are you of Caucasian appearance? Have you always had access to medical treatment? Do you live in a high socio-economic area? You have NEVER had to rely on the charity of others to get by? Do you own more than 1 house/dwelling? Do you own more than 1 car? Is your family free from domestic violence (physical, emotional, mental or financial)? Is your family free from substance abuse (alcohol or drugs)? Are your birthdays, Christmas or other celebrations filled with many gifts? Do you have money in a savings account? The higher your score the more privilege you have. I consider myself somewhat privileged, from this list of 20 questions, I scored 5. I hope this has empowered you to think independently. And given you the confidence to construct a real, evidence-based belief system that is true to you. After completing the quick quiz, what are your thoughts? Are you shocked by the score or is it what you expected? Did you know anything about privilege before now? Leave a relpy below, I’d love to hear from you. Privilege is such a hard topic to communicate to people so thank you for this! By the way, I scored 10/20 on the Privilege Test. Interesting that we are sisters brought up in the same household yet we have such different scores! It is a hard topic to communicate and I feel that I’ll probably need to do a few more on the topic for a more comprehensive understanding of it. And yes, it certainly is interesting the difference in our scores, though it does show that we are individuals and that we each have different journeys even within the same family. Wow, it’s wild that you have such different scores even though you grew up in the same home! The video is a perfect demonstration. When people hear or read words, they sometimes don’t comprehend them but when they *see* it, the pieces of the puzzle suddenly fall into place and you can tell by the look on their faces. Nice writeup! Never came across a post like this. Next I was Almost Bitten by a Snake…and I’m Thankful.